The Claire Loftus Carriage House Theatre was originally Senator Phelan's garage (or "carriage house"), but has been fully renovated into a beautifully intimate theater space which features performances, concerts, dance, lectures, and more all year round. Concerts at the Carriage House Theatre: Gates open one hour prior to showtime. Seating 30 minutes prior. Montalvo may delay seating due to sound check needs. During concerts, concessions such as coffee, tea, cookies and hot chocolate are available for purchase. Beer and wine are also available; purchase a concert cup so that you are able to bring your drink into the theatre! 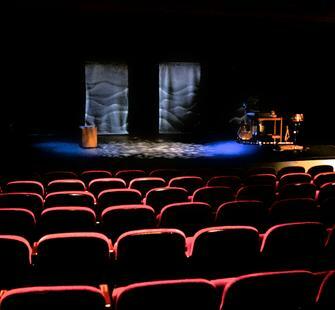 For Carriage House Theatre Tech information, click here. FEB 25 2019 | Surprise!